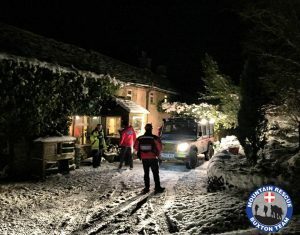 The team received an early morning call at 2.53 from North West Ambulance Service requesting assistance with transporting a casualty from a remote property above Macclesfield. 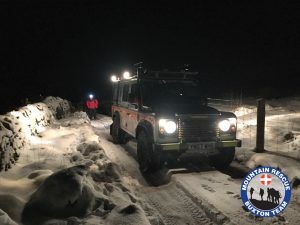 At the time, the temperature was -7 °C, which made the access difficult to the property due to the snow and icy conditions. Ambulance Paramedics were already at the property treating a poorly casualty at their farm. 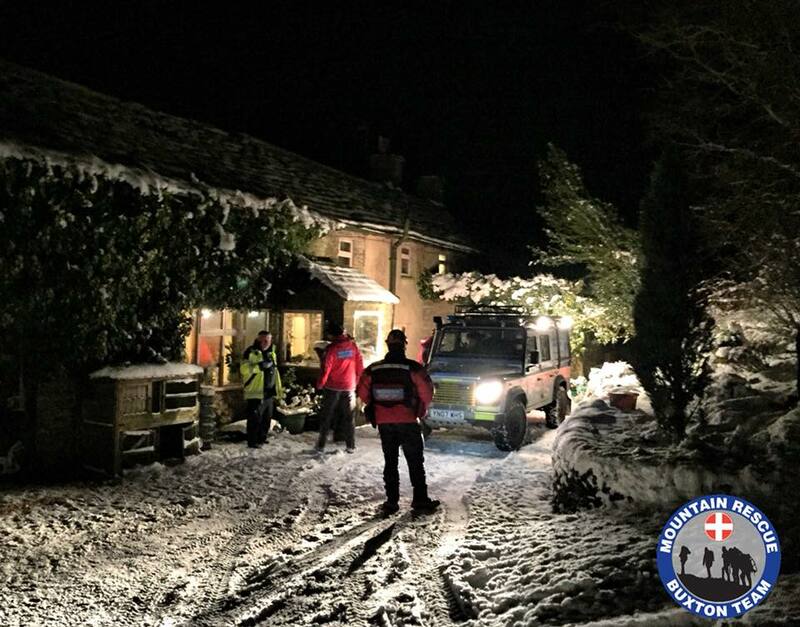 Due to the remoteness and the snow and icy conditions, the team was requested to attend to help evacuate the casualty. Both of the teams 4×4 response vehicles were able to reach the property along the ice bound track. Working together with the Ambulance Crew, the casualty was transferred into a 4×4 and driven to the road head to the waiting land ambulance for onward transport to hospital. This is another great example of the voluntary rescue team working with the emergency services to help our communities during these cold and difficult winter conditions.